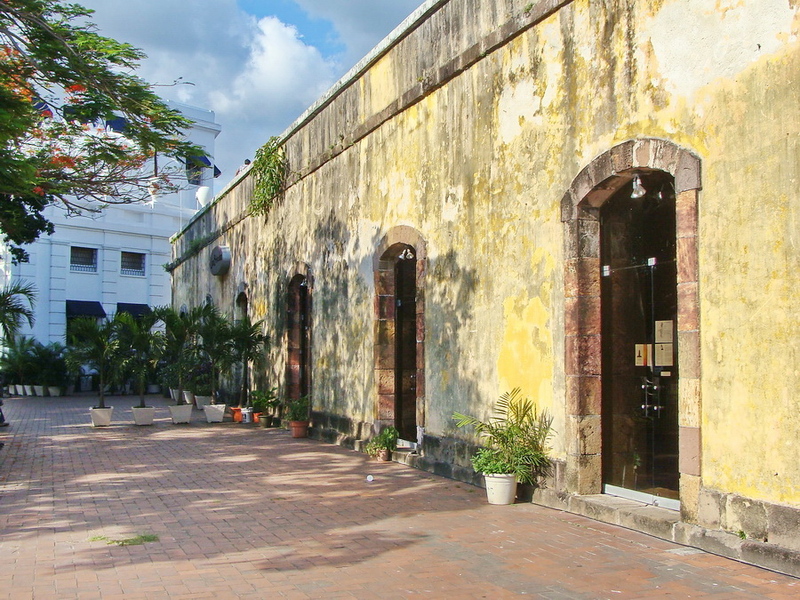 Want to get to know Casco Viejo on foot? From Magnolia Inn, visitors are footsteps away from over 30 points of interest, where some date back to the 17th century. 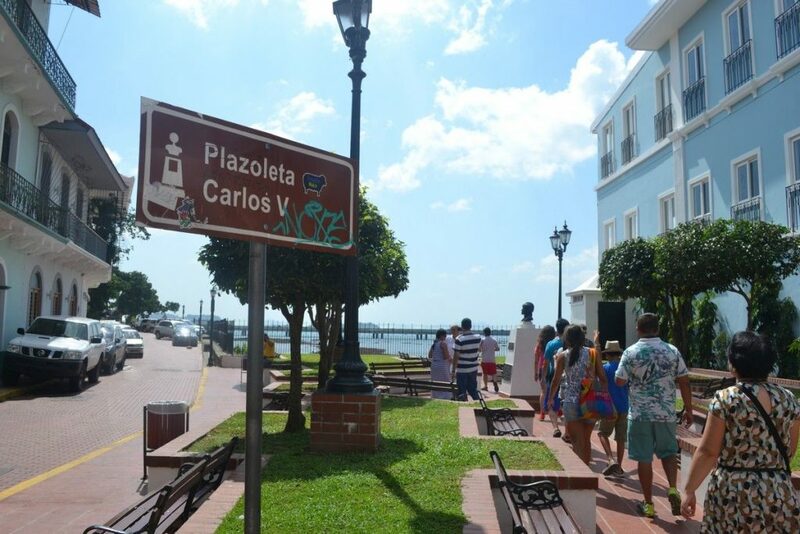 Check out the following Casco Viejo Walking Tour, where the Panama Tourism Authority has conveniently placed bilingual explanations (in Spanish and English) at every stop. Panama was founded on the shores of the Pacific Ocean in 1519, and was the first Spanish city on the America’s Pacific coast, as well as the oldest capital established on mainland. After an attack in 1671 by the infamous English pirate Henry Morgan, Panama’s capital city was moved 8 kilometers away to what is now known as Panama La Vieja. The main buildings were constructed within a protective wall, which was mostly demolished in the 19th century. After Panama’s separation from Colombia in 1903, the city’s streets were paved, water and sewer systems were implemented and new buildings were built. Following the creation of new suburbs, like Chorrera and Arraijan, many inhabitants left the city. By 1950, Casco Viejo’s deterioration and abandonment were obvious. However, by the end of the 20th century, the area had turned back in to the city’s historic center. 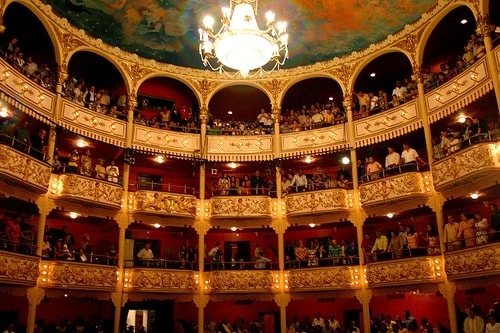 The National Theater, located in the heart of Casco Viejo next to the Church of San Francisco and the Plaza Bolivar, is a representative work of Panama’s neoclassical architecture. 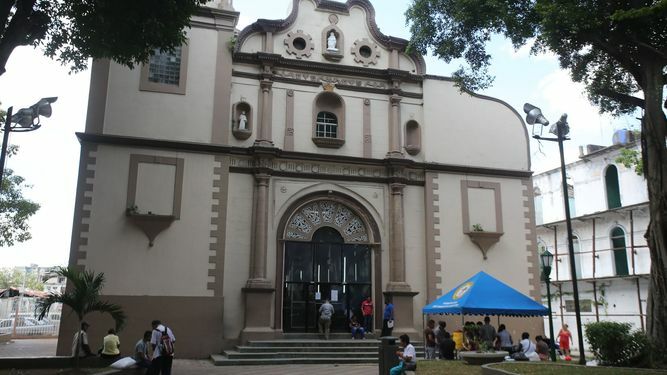 Prior to the theater’s construction, the site was occupied by the former convent of the Cloistered Nuns of the Embodiment until 1862, when the government of General Tomás Cipriano de Mosquera made it a military barracks. The theater was designed by Italian architect Genaro Ruggieri, with a style of Italian operetta theater. Its construction was ordered by Act 52 of 1904. It opened on October 1, 1908. The theatre can accommodate 853 people. The temple and convent of Saint Francis of Assisi caught fire in 1737 and 1756. 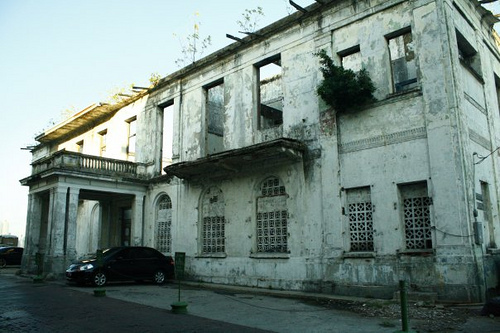 Though the structures were rebuilt, they were abandoned in the 19th century. The temple was remodeled in 1918, which altered the facade and interior, as well as greatly increasing the height of the bell tower. Becoming deteriorated, the temple was restored, and consecrated in 2016. 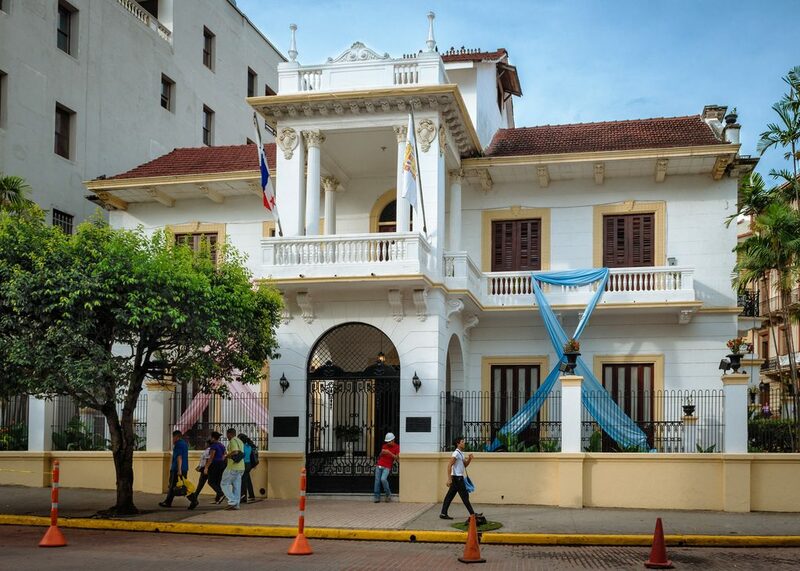 The former area of the convent is now occupied by the Bolivar Palace, which is home to Panama’s Ministry of Foreign Relations. Delegates met at this site in the 19th century to negotiate the union of the Americas, which was unsuccessful. Panama’s first constitution was also approved here. Built in 1756 following a devastating fire in that left the block devoid of building, Bolivar Plaza was originally called Saint Francis Plaza, named after the church located in front of it. The current ensemble was inaugurated in 1926 in honor of Simon Bolivar, and includes the sculptures “The Architect of Nations” and “Father of American Freedom”, created by Mariano Benlliure. 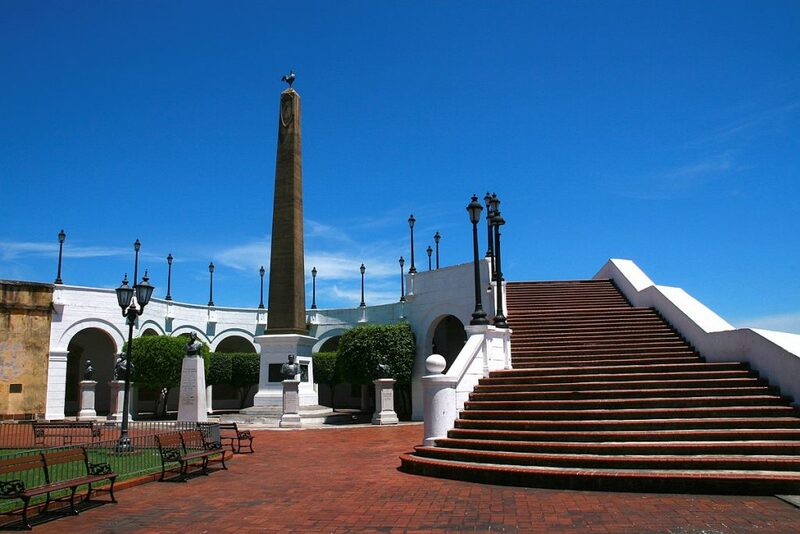 The monument to Vasco Nuñez de Balboa, located on Panama City’s Cinta Costera, was also sculpted by Benlliure. Balboa is credited as the first European that saw the Pacific Ocean (or South Sea) from the Panamanian Isthmus. Affected by the fires of the 18th century, the Oratory of Saint Philip Neri was handed over to the Saint Vincent of Paul Charity in 1875, who built the building that now hides its facade. The temple was renovated in 1913, during which the original walls from 1688 were conserved. The Oratory’s prized possessions are its colonial pulpit, its 2-level wood choir and its 14 Stations of Cross, made from enameled glass. The nave’s moving tombstones date back to the 19th century. Its large Nativity scene is on permanent exhibit. San Felipe Neri in 1875. Photo by Eadweard Muybridge. Part of Vicente Pascual’s collection. The Palacio De Las Garzas (Palace of the Herons), or Presidential Palace of Panama, is the official residence of the President and a governmental office. Built in 1673, the palace is home to large African herons, who were gifted to the palace in 1922 during the presidency of President Belisario Porras. Serving as the home for the Spanish governor during the 17th century, the home has been remodeled a few different times over the course of its history. In 1922, the largest renovations were completed under the management of architect Leonard Villanueva-Meyer. A courtyard, a ‘Moorish’ room, and two new towers were added. It is fun to note that in 1934 an elevator was added for a visit from United States President Franklin D. Roosevelt so that he could get to his bed chambers during his stay. The Salon Amarillo (Yellow Room) is the room where most of the formal events are held. It is widely considered to be one of the most important rooms at the Presidential Palace of Panama. The Salon de los Tamarindos (Tamarind’s Room) is the dining room of the President and it is named for its beautiful murals which were completed by Panamanian painter, Roberto Lewis. Lewis was inspired by his visit to Taboga Island and loved the tamarind trees he saw there. Panama’s current president, does not live at the palace residence, but several of the Presidents of Panama have lived here. The order of Saint John of God occupied an entire Panama City block, which included a convent, a church, a courtyard, a cemetery and an infirmary that attended male patients. In 1862, the area was sold at auction and divided into small private estates. Today, the complex site is home to a school and private residence. 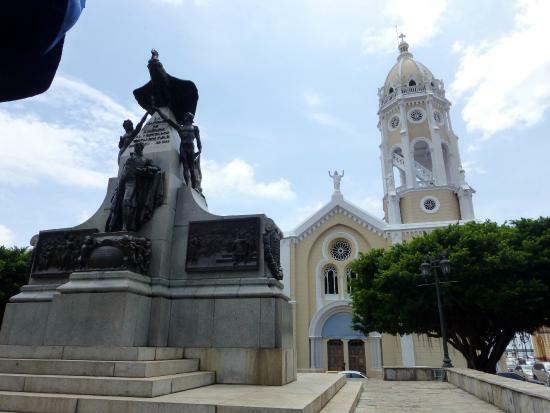 Saint Anne Plaza, located in the heart of the Santa Ana neighborhood, is located on Casco Viejo’s highest point. Decades ago, when Santa Ana was the city center, the plaza was the scene of political rallies, riots and popular fairs. Originally, the plaza was an empty space, but was was transformed into a closed park with paths, benches and trees in 1892. A gazebo was built in the middle between 1920 and 1922. Santa Ana’s heyday took place during the first 30 years of the 20th century, when hotels, cinemas, shops and cafeterias appeared around the plaza. The Grand Hotel was located there, as well as the famous Cafe Coca Cola. The neighborhood went into decline over the years, but is now it is experiencing a renaissance and has become the anteroom of the Historical Monumental Complex of Casco Antiguo. The Saint Anne Church was built to honor Saint Anne, the Virgin Mary’s mother. It was consecrated in 1764, and, following a fire, was rebuilt in 1854. Further renovations were made during the 20th century, which gives the church its current appearance. The Saint Anne Church was declared a national historic monument in 1980. The Arias Feraud mansion stands opposite the Our Lady of Mercy Church, known today as the Municipality House. 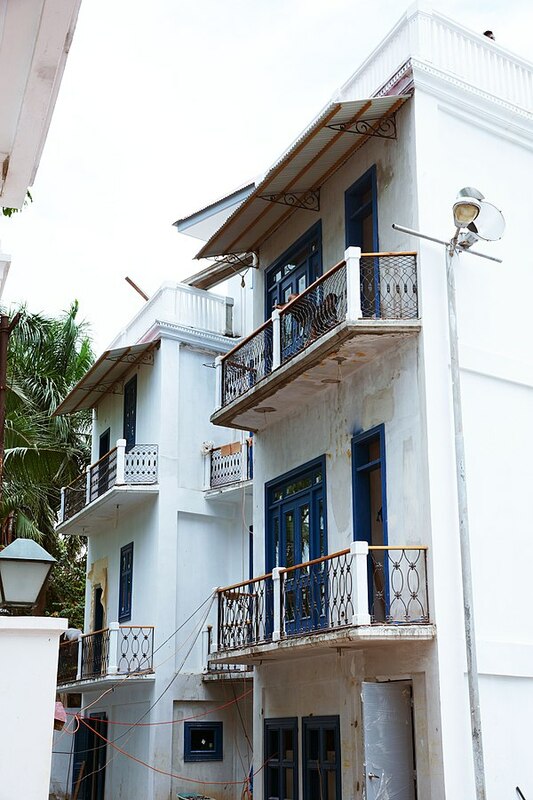 This building was one of the first to be constructed in Casco Viejo, and was originally intended to be a residence, though the bottom floors were commonly uses as shops. The mansion stands atop the site of the original city gate to the walled city. The gate, which closed daily at nine o’clock, was accessible by a wooden drawbridge, which was later replaced with stone. Considering the city’s rapid growth, the wall was almost entirely demolished in 1856. 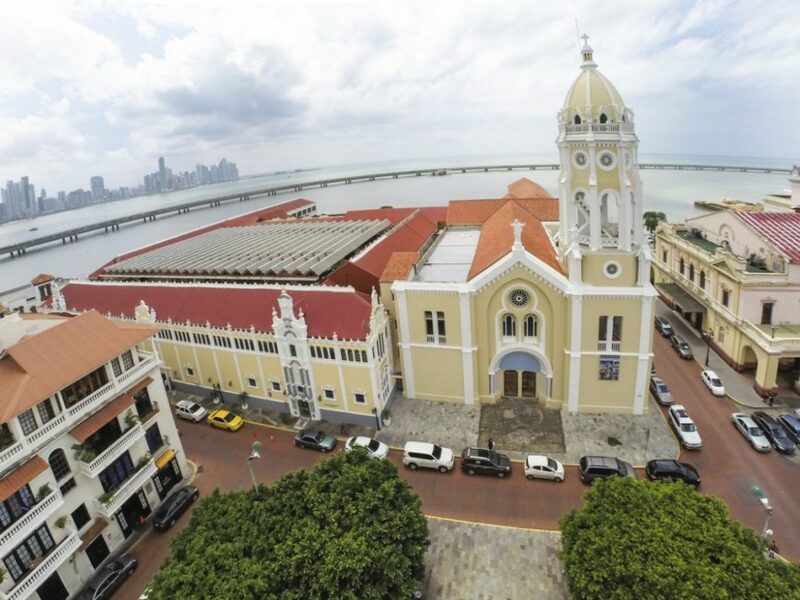 The Our Lady of Mercy Church is Casco Viejo’s only church that maintains its original wooden roof and columns, dating back to the Spanish colonization. The impressive baroque facade was transported stone by stone from its original site, which was abandoned after an attack in 1671 by the infamous English pirate Henry Morgan. The temple’s four bells, located within the right tower, can turn 360 degrees, allowing for great sonority and beauty in its range of tones. Our Lady of Mercy Church is home to a pipe organ possessing 1,032 tubes, all housed within an antique 18th century armoire. The Our Lady of Mercy museum features valuable objects of worship, a large nativity scene on permanent display and the city’s oldest parish archive. The Tiger’s Hand bulwark, or “Baluarte Mano de Tigre” in Spanish, was part of Panama City’s land-based defensive wall, which was demolished in 1856. Following the wall’s demolition, the Tiger’s Hand bulwark was sold “up to and including the outer wall of the dry moat”. Later, several wooden houses were erected in the area, including the Boyacá in 1890. The Boyaca House is a triangular-shaped wooden house located next to the Tiger’s Hand bulwark ruins. The house is named Boyacá after a Colombian gunboat. 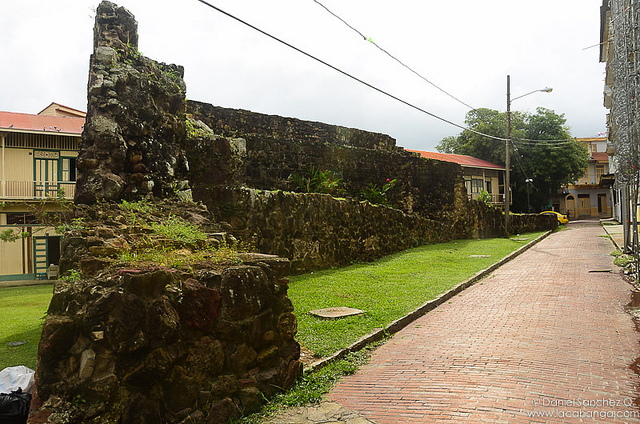 One of its walls belongs to a section of the colonial city’s second protective wall. Originally, Herrera Plaza was a residential block, but was abandoned after a fire in 1781. After the fire, the area was used for celebrations and bullfights until 1928, the year in which bullfighting was prohibited. Following the prohibition of bullfighting, the plaza became what it is today. 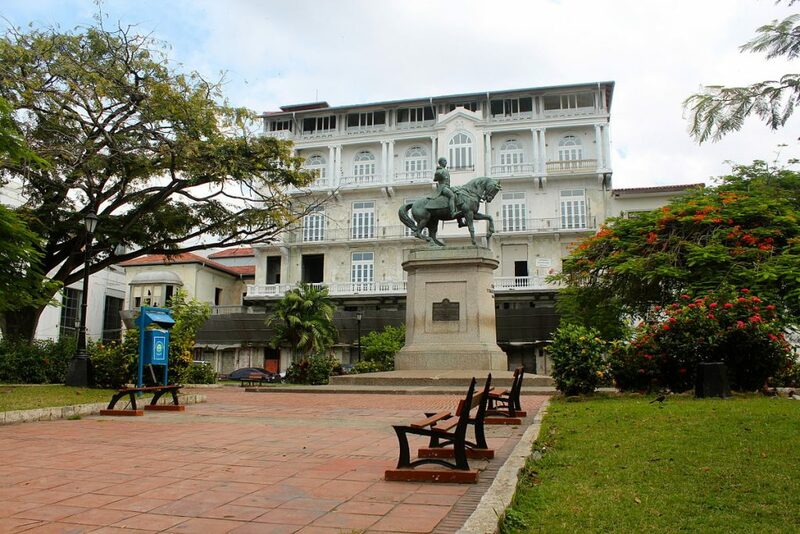 In the center of Herrera Plaza, 0ne can find an equestrian sculpture of General Tomás Herrera (1808 – 1854), a noteworthy Panamanian from the 19th century. On Calle 10a. 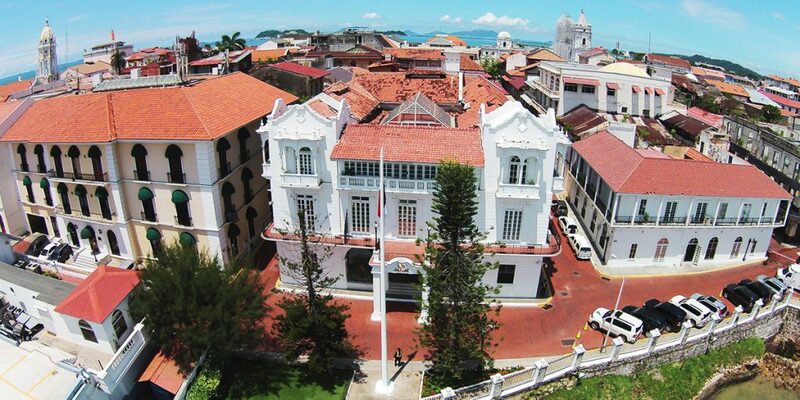 Oeste, one can find the former headquarters of the National City Bank (circa 1930), which participated in the financing of the Panama Canal’s construction. The interior has been restored as a banquet hall, featuring floors made from the wood of trees that would have been submerged by the Panama Canal. On Call José de Obaldía, one can find “La Reformada” (1917 – 1921), Panama’s first “skyscraper”. The original building included elevators, a novelty at that time. “La Reformada” was restored in 2013. 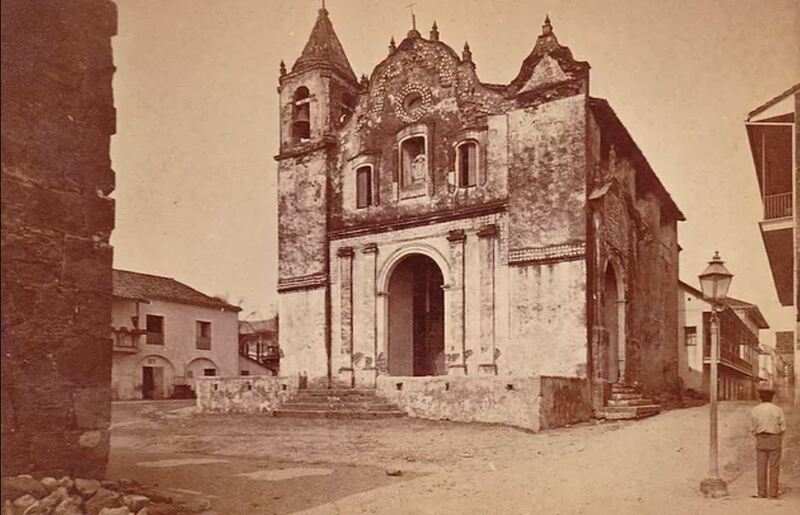 This rectangular-shaped Augustinian temple was one of the first to be built in Casco Viejo. Church San Jose was rebuilt after a major fire in 1737 left it in ruins. Following the passage of a law in 1832 that abolished all convents, the Augustinians left Panama. The church was used as a school chapel until the religious order returned in the late 19th century. 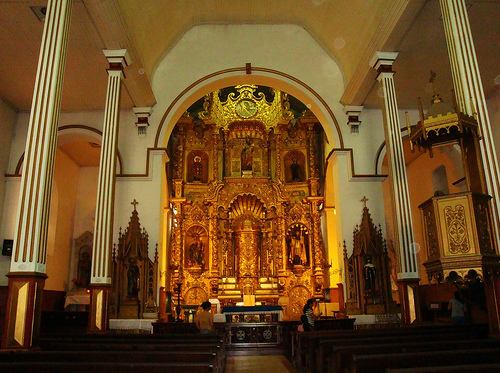 The Golden Altar is the main altarpiece of this temple. The altar was covered with gold leaf in the early 20th century. 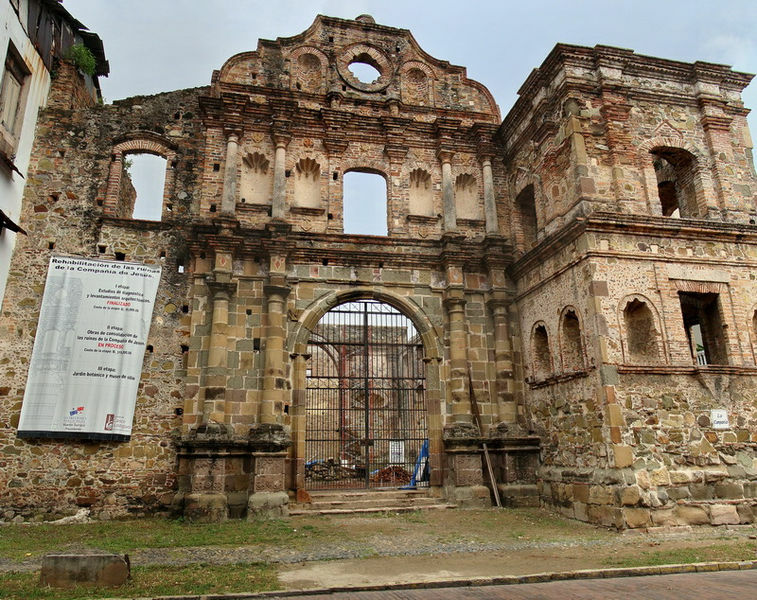 The Society of Jesus features the ruins of the Jesuit temple and convent. 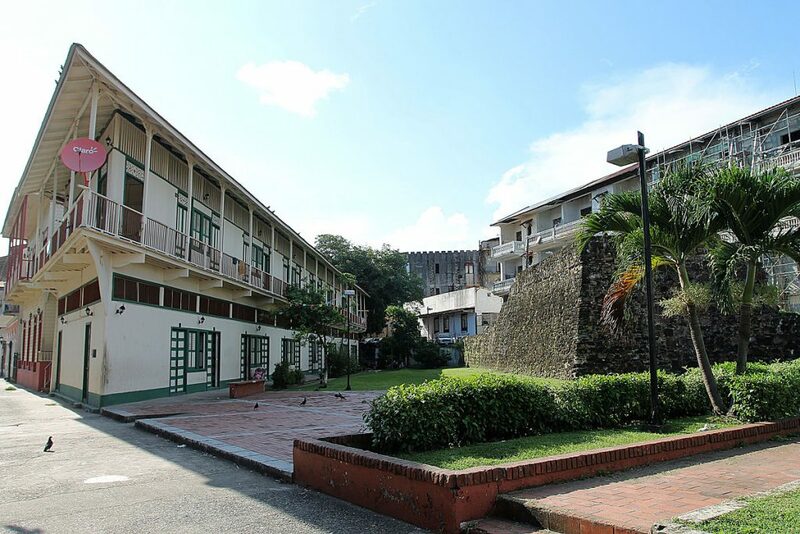 In 1741, a school was built on its grounds, which became Panama’s first university 8 years later. The university functioned until 1767, when the Jesuits were expelled from all Spanish lands. The church was built after 1749, and was most likely never completed. The building fell victim to a fire in 1781, and then an earthquake in 1882, resulting in even more deterioration. The City Hall’s original building stood firm until a large portion collapsed after an earthquake in 1882, after which it was rebuilt. 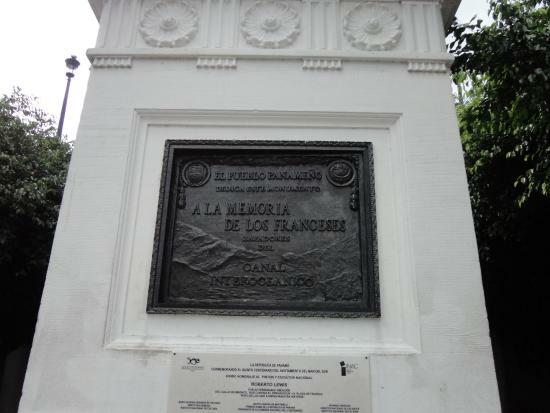 In 1903, Panama’s separation from Colombia was proclaimed here. In 1910, a new building was finished by the new Republic. Two structural groups stand out. To the left is Wisdom (standing) and Commerce (seated). The second set includes Work (standing) and Agriculture (seated). 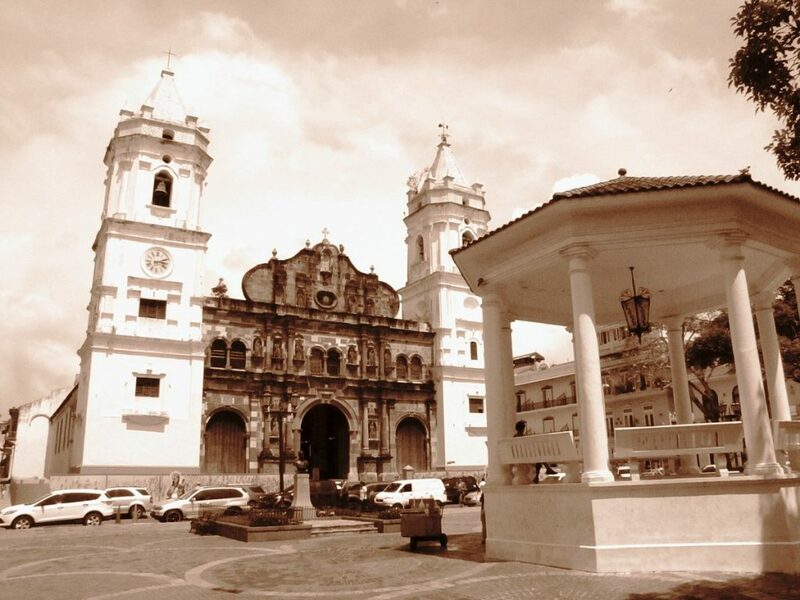 Originally constructed from wood, the Santa Maria La Antigua Basilica Cathedral initiated services in 1674. In 1688, following a devastating fire, the Cathedral’s masonry foundation was laid, though it was not consecrated until more than a hundred years later in 1796. Its two towers, decorated with mother-of-pearl, were the city’s highest for many years. The Cathedral’s interior has 36 large cross-shaped columns and a simple, elegant wooden altarpiece, which dates to 1791. 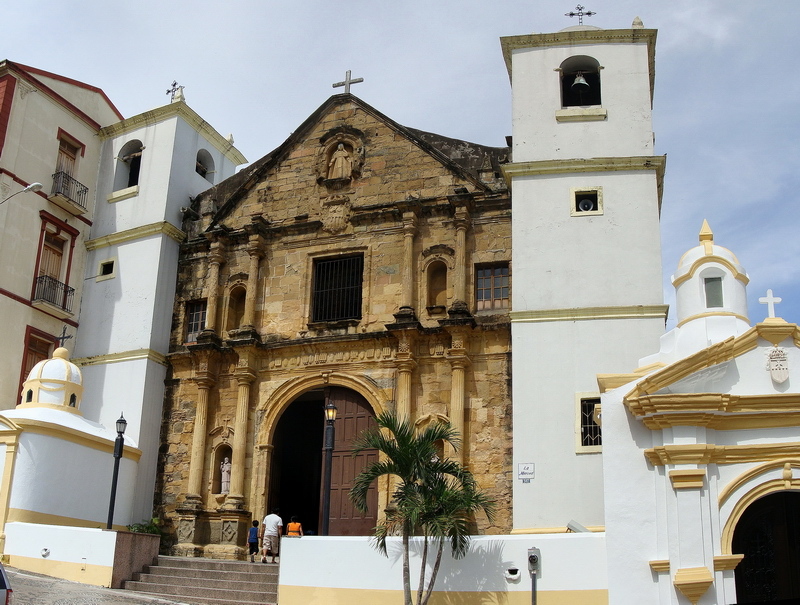 Santa María La Antigua was Panama’s first Marian advocation. She was officially proclaimed Patron of Panama in 2000. 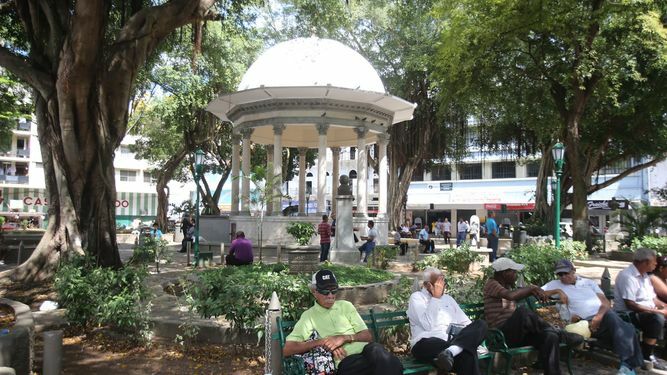 The Main Plaza, also known as Cathedral or Independence Plaza, was intended to be the city’s only plaza. It was originally square, but changed to a rectangular shape after fire destroyed two city blocks. The plaza was a wide, open space for many years, used for bullfights, horse races and other events. 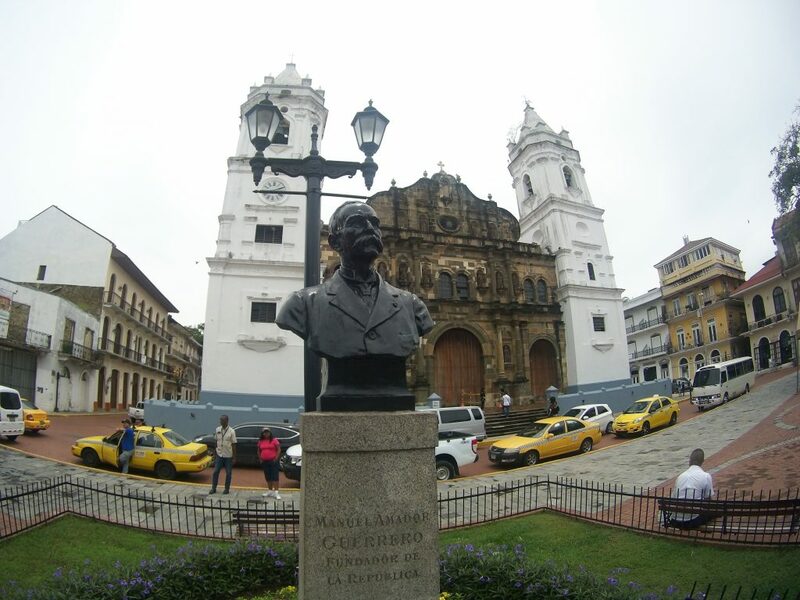 The plaza is surrounded by busts of Panamanians who participated in Panama’s separation from Colombia in 1903. A figure of Manuel Amador Guerrero, Panama’s first president, is featured in the center. Built in 1874, the Interoceanic Canal Museum building was originally the Grand Hotel, which was very modern for its time, including gas lights, bathrooms and indoor plumbing. Later, it housed the main offices for the French and American canal construction efforts. Beginning in 1910, it became the headquarters of several public offices. Then, in 1997, it was refurbished and reopened as a museum. 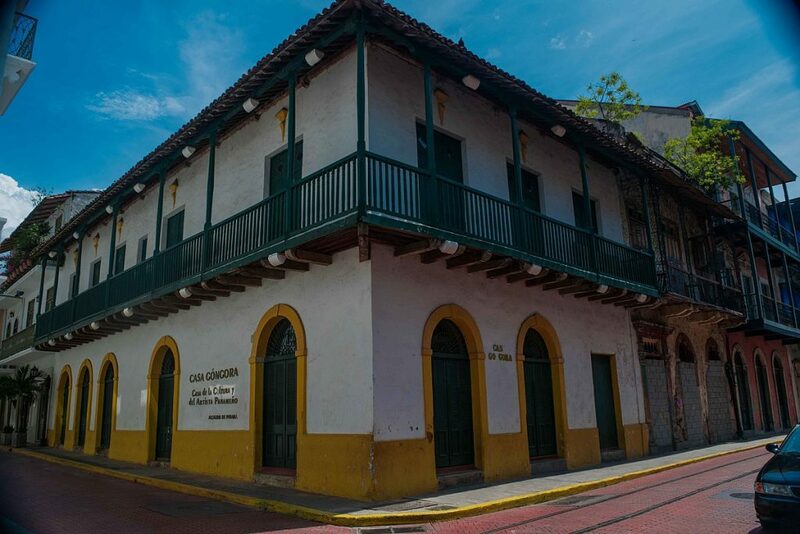 Gongora House is the best preserved colonial house in Casco Viejo. Though the exact year it was built is unknown, it has appeared on maps since 1779. The house is named after Pablo Góngora, a pearl merchant that called it home. The house was restored in 1999, and retains its original design of thick walls, large plank doors and a wooden balcony. 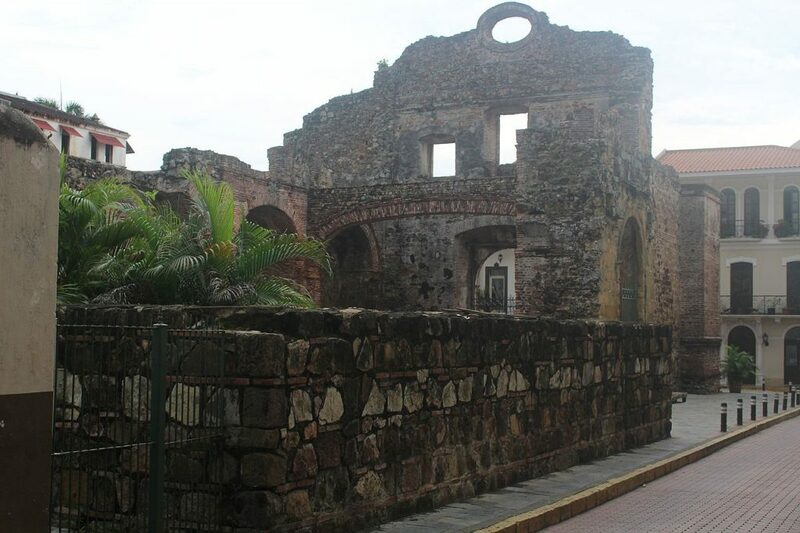 The Convent of Santo Domingo, built in 1678, was one of the first to be founded in Panama. It was ravaged by two fires in the 18th century, which toppled the tower and the interiors. Nevertheless, the walls and arches were maintained, especially the flat arch built to support the wooden choir of the church. The complex became relevant during the twentieth century because of the construction of the canal since the flat arch served as an example of the seismic stability enjoyed by the isthmus. 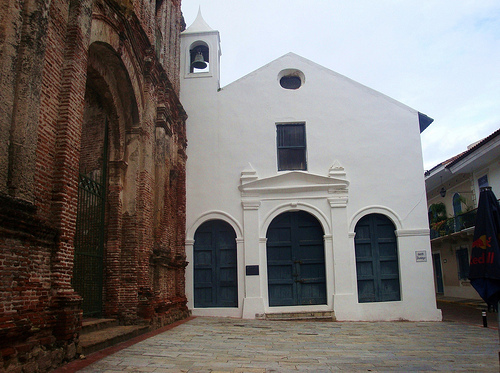 The Santo Domingo church and convent were amongst the first buildings to be built in Casco Viejo. They were damaged by two fires that took place in the 18th century. However, the walls and low arch that supported the wooden choir remained standing. This arch, commonly referred to as “arco chato”, was commonly cited as proof of Panama’s seismic stability during canal negotiations. 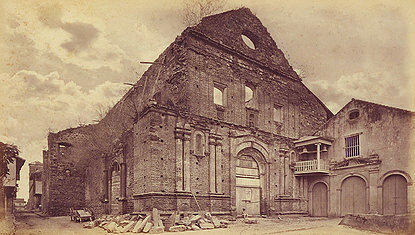 The current location of the Colonial Religious Art Museum used to be a chapel that was constructed after a fire that destroyed the original temple and convent. Charles V was Europe’s most powerful monarch during the 16th century. His empire encompassed a total area of approximately 4 million square kilometers (or 1.54 million square miles). It was known as “the empire where the sun never sets”. In 1534 Charles V requested that the unification of the Atlantic and Pacific oceans via the Panamanian Isthmus be evaluated, a feat that would be undertaken four centuries later with the construction of the Panama Canal. 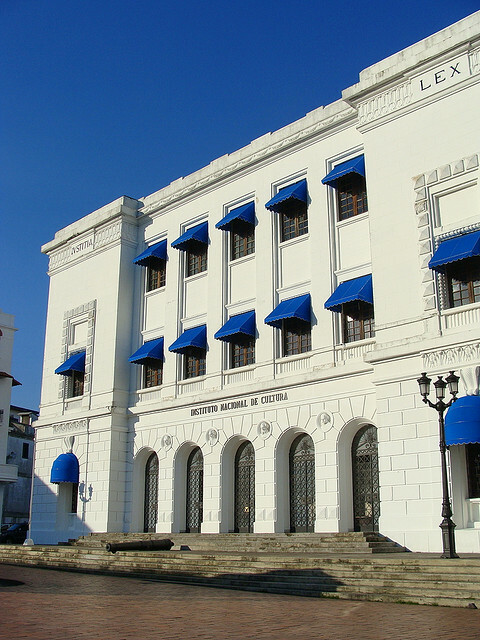 The National Institute of Culture building used to house Panama’s Legislative and Judicial bodies. The Latin words for justice and law can be seen on its façade. Las Bóvedas, or The Vaults, is the name commonly used to refer to the structures that form the walls that surround the Plaza de Francia, or France Plaza. The monumental complex consists of seven vaulted spaces that made up the city’s defensive system. Built in the 18th century, The Vaults got its name from the system of arches or vaults that is supported on columns. A chemin de ronde, also called a wall-walk, was built upon The Vaults during the 19th century. The space, due to the walls’ great thickness, was used as a barracks and prison. One of The Vaults most prominent tenants was the guerrilla Victoriano Lorenzo, who was shot on May 15, 1903 in front of the Chiriqui Plaza, which is the current France Plaza. The area was declared a national monument by law No. 2 of January 8, 1920. 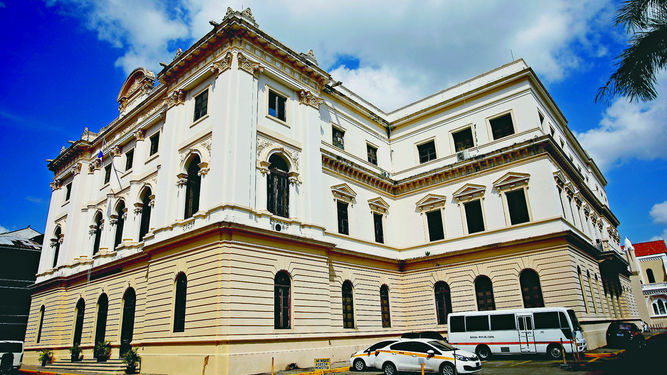 National Institute of Culture (1935) – The National Institute of Culture building used to house Panama’s Legislative and Judicial bodies. The Latin words for justice and law can be seen on its façade. The Vaults (18th Century) – Used as a barracks and prison. French Embassy (1915) – The French Embassy was constructed where a military building known as The Castle originally stood. The Panama Canal Memorial, built in 1921, honors France’s unrealized effort to construct a canal across the Panamanian Isthmus during the 19th century. Five busts pay tribute to the participants that played a part in France’s construction efforts, including Panamanian engineer Pedro J. Sosa. In the semicircular gallery, ten plaques tell the Panama Canal story (in Spanish). Embossed plaque dedicated to Carlos J. Finlay, who discovered that yellow fever was transmitted through mosquito bites, an indispensable discovery to complete the Panama Canal. 18-meter obelisk topped with a French rooster in bronze, which represents hope and faith. Fun fact: The embossed plaque covers a tunnel opening, which could be opened until just recently. One can enjoy beautiful views from the Esteban Huertas Promenade. The Esteban Huertas Promenade is located on top of the city wall that faced the sea. The promenade is dedicated to the Colombian general Esteban Huertas, who played an integral role in favor of Panama’s separation from Colombia in 1903. The dome, which is currently a theatre, is part of the enclosure where Panama’s Legislature once met. The islands of the Amador Causeway are a breakwater for the Panama Canal. In the past, they served as the city’s docking ports for large ships. Now, the islands Culebra, Perico and Flamenco are home to beautiful walkways, delicious restaurants and the Biomuseo. The Soldier’s House, or “La Casa de Soldado” in Spanish, constructed in 1910, was the National Museum’s original headquarters. It was refurbished in the 21st century, and is currently home to a cultural center. 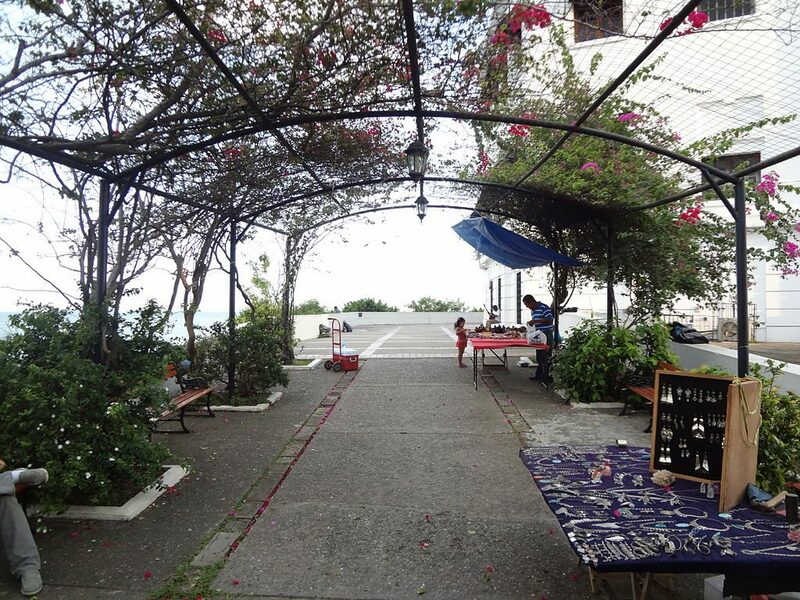 This section of the Esteban Huertas Promenade, located on top of what once were Panama’s defensive walls, is now covered by an arbor of Bougainvillea plants, and is also known as Lover’s Lane. 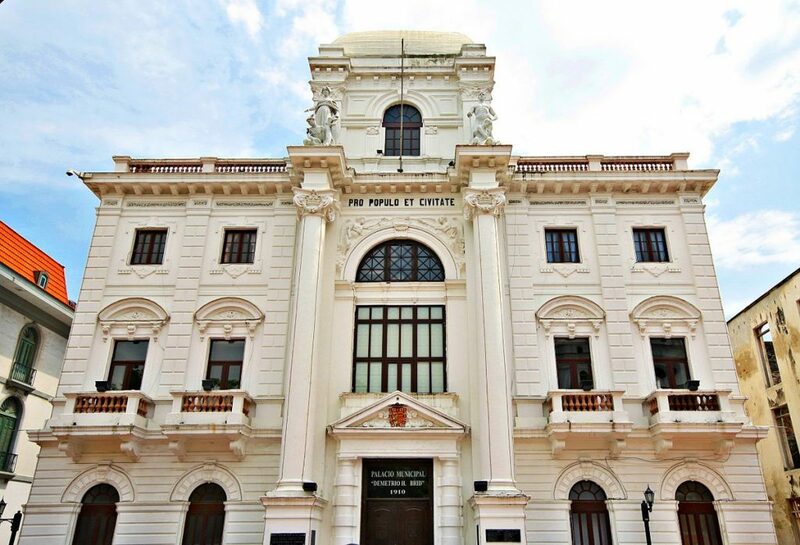 Work began on the current building of the Ministry of Government, also called “Palacio de Gobierno, in 1905, where the contract for the neo-Renaissance structure was awarded to the company Duque y Arias. The supervisor of the work was the engineer Florencio Harmodio Arosemena (President of the Republic in 1928). The first stone was placed on February 13, 1906. The building was completed in 1908, and inaugurated along with the new President of the Republic, José Domingo de Obaldía, on October 5, 1908. The Nuns’ Bulwark formerly occupied an area of the city, along Avenida Central. A bulwark is a fortified stronghold used as a platform to attach the enemy. Panama City was surrounded by a defensive wall reinforced by eight bulwarks, with their respective barracks and battery of guns. 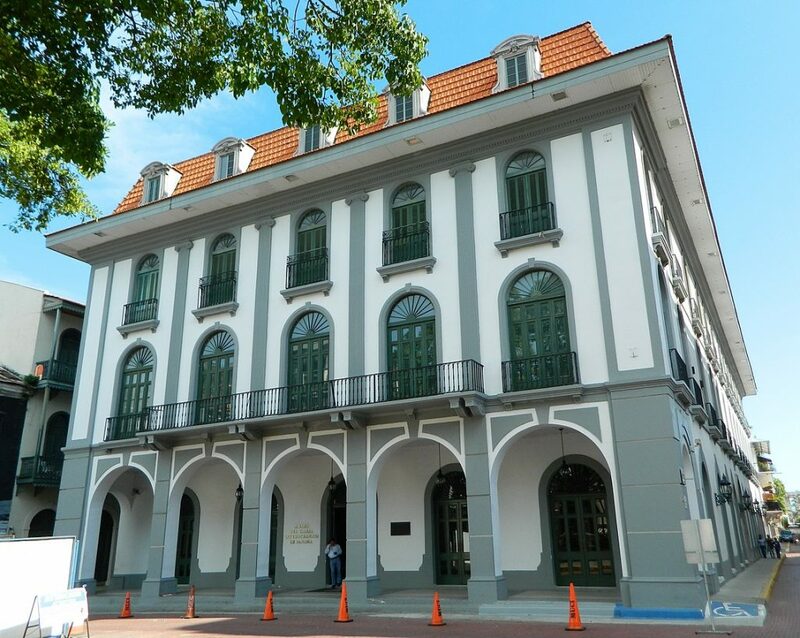 The former site of the Union Club, built in 1917, served as the headquarters for Panama’s social elite until 1969. 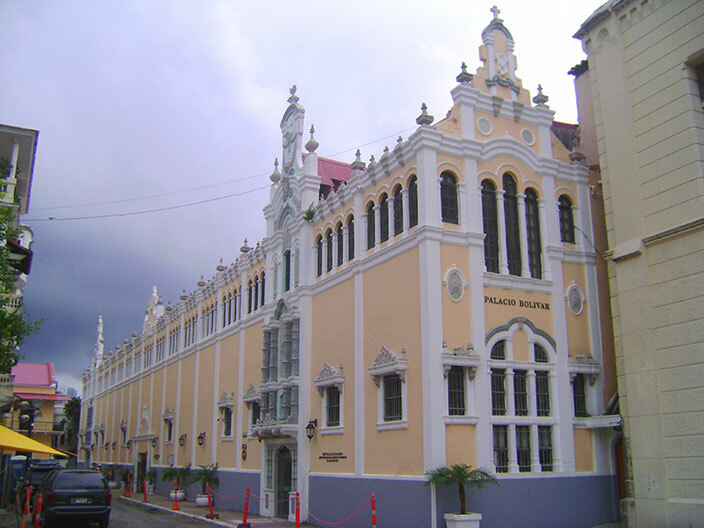 Following the Union Club’s move to Punta Paitilla, the building housed a military club until 1989. While empty, the structure was used to host parties and as a film location for the movie “Quantum of Solace” from the popular James Bond series. It’s currently undergoing major renovations to reopen as a hotel.